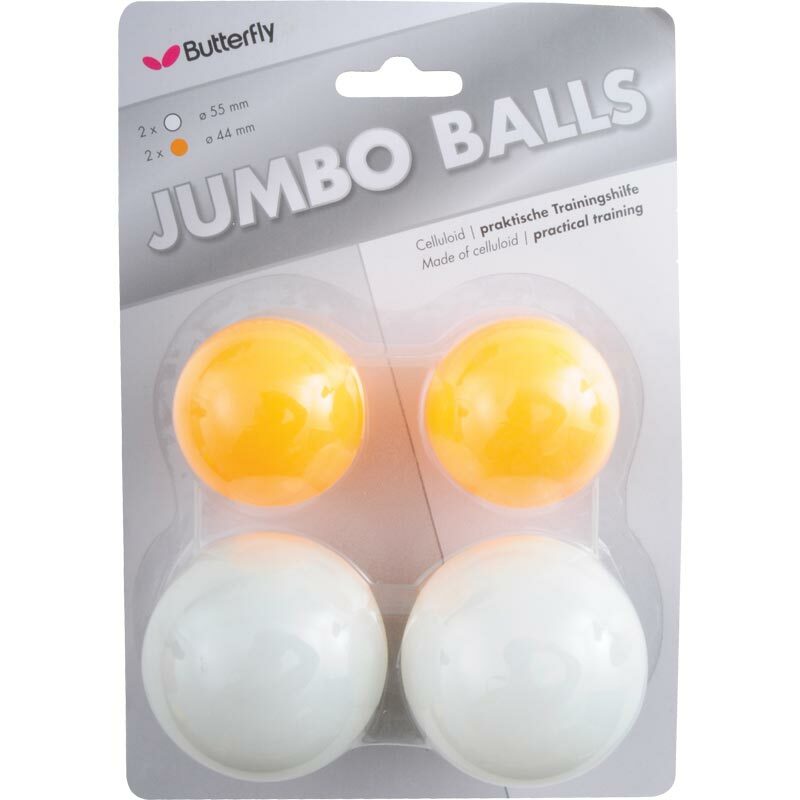 The Butterfly ® Jumbo Table Tennis Balls are ideal for children learning to play the game or senior players. 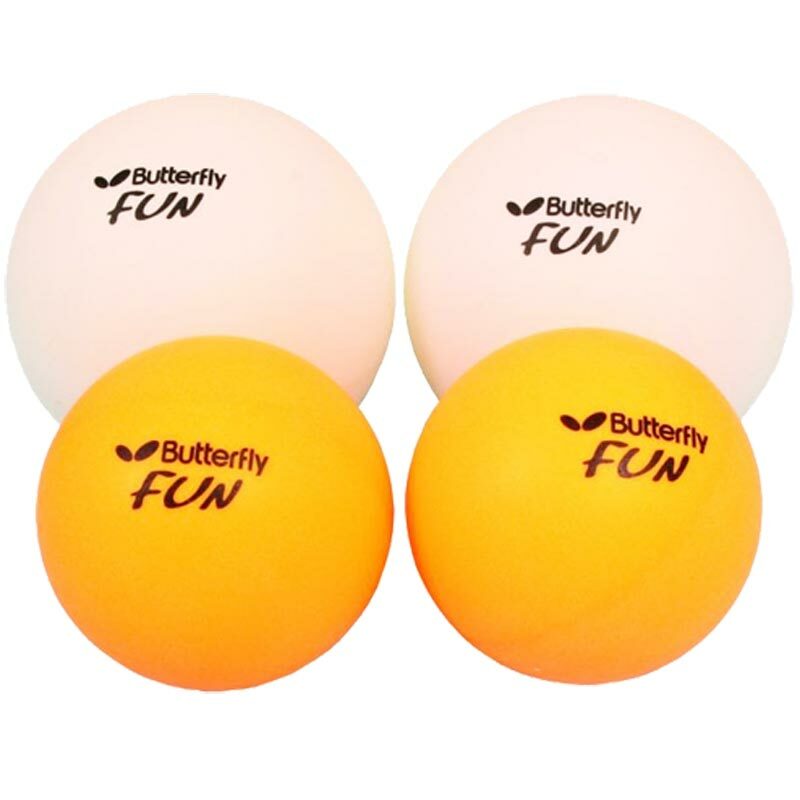 Extra large table tennis balls in 2 different sizes - 44mm and 55mm. Easy to play with and control than standard 40mm balls. Pack contains - 2 x white 44mm and 2 x Orange 55mm balls.